Cathy inherited her love of the real estate profession genetically…both of her parents were actively involved in real estate! Cathy’s father, William J. Champion, Jr. founded a very successful real estate company of the same name in 1952. His death in 1961 made it necessary for Cathy’s mother, Catherine W. Champion, to step up to the challenge of managing this growing office. She soon gained respect as one of Grosse Pointe’s first female entrepreneurs. Cathy followed her mother into the real estate business in 1976 after completing her education at Grosse Pointe High School and earning a BA and Master’s degree in Marketing at Michigan State University. Cathy has served her profession in various capacities at the local, state and national levels. As one of the six participants of the jurisdictional team responsible for the founding of the Grosse Pointe Board of REALTORS�, Cathy was elected to serve as its first President in 1986. She has served on the Board of Directors for many of the ensuing years. Cathy was also the 1998 President of the Grosse Pointe Board. In 1995, Cathy’s peers at the Board honored her with the Frederick Scully Award for Professionalism in Real Estate, one of only a select few recipients of this prestigious award. 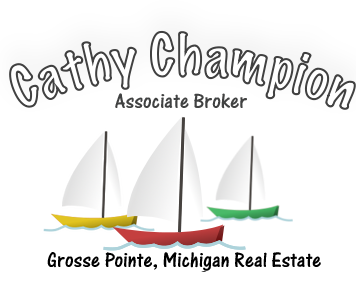 Cathy was distinguished by her peers again in 1986 and 1998 by being selected as the Grosse Pointe Board’s REALTOR� of the Year. Cathy and Kevin have a strong sense of public service. Cathy served as Chairman of the Grosse Pointe Chamber of Commerce for three years, Nominating Chair of the Grosse Pointe Farms Foundation, Past President and on the Development Committee for Services for Older Citizens and Kevin enjoys his involvement as a director of Services for Older Citizens. 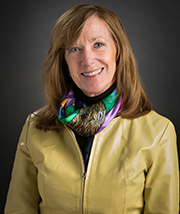 Cathy has served as chairman of the Michigan Association of REALTORS� Professional Standards Committee, Risk Management Committee, Convention Committee, Broker/Owner Forum and Technology Committee. She served for years on the Member Services Committee of the Real Estate Brokerage Managers Council. Cathy has earned several designations through her continued pursuit of real estate education. The ABR, Accredited Buyer’s Representative, CRB, Certified Real Estate Broker, CRS, Certified Residential Specialist, and GRI, Graduate REALTORS� Institute. Her latest designations are E-PRO, a National Association of REALTORS course which recognizes internet professionals in real estate, and SFR, Short Sale and Foreclosure Resource. Cathy’s partner in business and life is her husband, Kevin Killebrew. 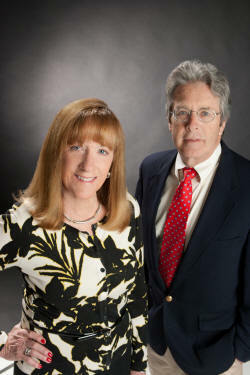 Kevin obtained his Realtor designation in August of 2007 and has been working with Cathy ever since. A retiree from Chrysler in the Finance Department, Kevin enjoys using his background to assist clients in evaluating properties and financing options. Having two people that are devoted to the needs of the real estate community has also enabled them to increase their market share and their commitment to unparalleled service to their clients and customers. Cathy and Kevin’s vision of the real estate profession incorporates the use of technology to expand the marketing opportunities for sellers and increase the knowledge of the market for buyers. Their understanding of the business is an accumulation of years of dedicated service which they will share with you.